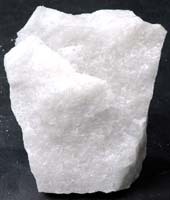 We manufacture, supply, and export high quality Quartz [Silica Powder]. 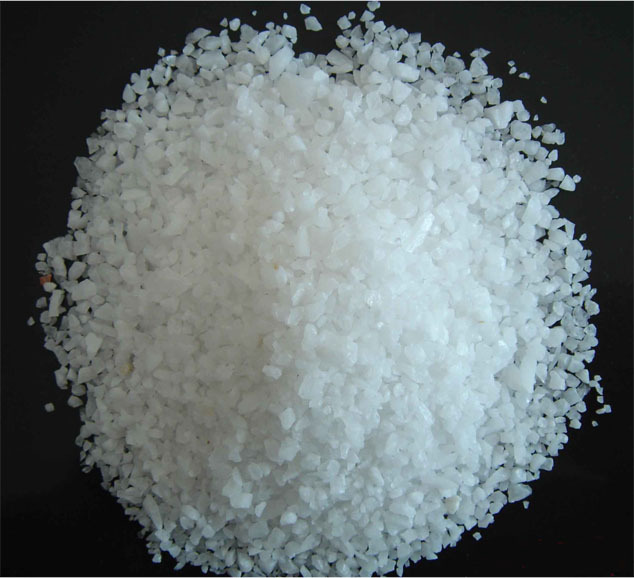 our Quartz [Silica Powder] is used in all leading industrial uses. we also supply and export lumps. Please see the photographs and chemical analysis specifications. Quartz Powder Sizes 100 mesh , 200 mesh , 300 mesh , 500 mesh. Available Quality - Semi Quartz , Super Semi Quartz , Snow White Quartz . Quartz is the second most common mineral in the Earth's continental crust. It is made up of a lattice of silica (SiO2) tetrahedra. Quartz has a hardness of 7 on the Mohs scale and a density of 2.65 g/cm�. Quartz goes by an array of different names. The most important distinction between types of quartz is that of macrocrystalline (individual crystals visible to the unaided eye) and the microcrystalline or cryptocrystalline varieties (aggregates of crystals visible only under high magnification). Chalcedony is a generic term for cryptocrystalline quartz. The cryptocrystalline varieties are either translucent or mostly opaque, while the transparent varieties tend to be macrocrystalline. Although many of the varietal names historically arose from the colour of the mineral, current scientific naming schemes refer primarily to the microstructure of the mineral. Colour is a secondary identifier for the cryptocrystalline minerals, although it is a primary identifier for the macrocrystalline varieties. This does not always hold true. Not all varieties of quartz are naturally occurring. Prasiolite, an olive coloured material, is produced by heat treatment; natural prasiolite has also been observed in Lower Silesia in Poland. Although citrine occurs naturally, the majority is the result of heat-treated amethyst. Carnelian is widely heat-treated to deepen its colour. Because natural quartz is so often twinned, much quartz used in industry is synthesized. Large, flawless and untwinned crystals are produced in an autoclave via the hydrothermal process: emeralds are also synthesized in this fashion. Quartz occurs in hydrothermal veins and pegmatites. Well-formed crystals may reach several metres in length and weigh hundreds of kilograms. These veins may bear precious metals such as gold or silver, and form the quartz ores sought in mining. Erosion of pegmatites may reveal expansive pockets of crystals, known as "cathedrals." Quartz is a common constituent of granite, sandstone, limestone, and many other igneous, sedimentary, and metamorphic rocks. We are Manufacturer of all sizes of Quartz Sand ( Grains ) 0 to 6 mm & we can also produce as per buyer requirement. Available Quality - Semi Quartz , Super Semi Quartz , Snow White Quartz and Glassy Quartz. Quartz (Silica): as a crystal, quartz is used as a semiprecious gem stone. Cryptocrystalline forms may also be gem stones: agate, jasper, onyx, carnelian, chalcedony, etc. Crystalline gem varieties include amethyst, citrine, rose quartz, smoky quartz, etc. Because of its piezoelectric properties quartz is used for pressure gauges, oscillators, resonators, and wave stabilizers; because of its ability to rotate the plane of polarization of light and its transparency in ultraviolet rays it is used in heat-ray lamps, prism, and spectrographic lenses. 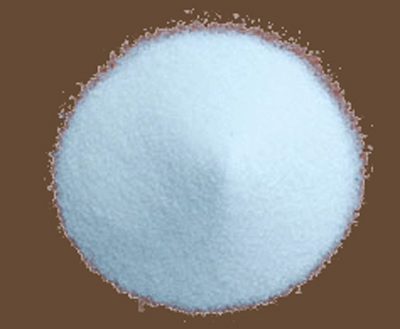 Used in the manufacture of glass, paints, abrasives, refractories, and precision instruments. Sources Quartz is found in many countries and many geologic environments. Major producers of natural quartz crystals are the United States (particularly Arkansas) and Brazil. Natural quartz is rarely used as found in nature (especially in electrical applications), except as a gemstone. Natural quartz crystals have too many chemical impurities and physical flaws. As a result, a commercial process of manufacturing pure, flawless, electronics-grade quartz was developed. �Cultured quartz,� that is, quartz crystals grown very carefully in highly controlled laboratory conditions, is the quartz that is used in industry. About 200 metric tons of cultured quartz is produced each year. In the production of cultured quartz crystals, a �seed crystal� is needed. A seed crystal is a small piece of carefully selected, non-electronics-grade quartz. The manufactured crystal grows on this seed crystal. Seed crystals of quartz are called lascas. The United States is 100% dependent on imported lascas for manufactured quartz crystals. The major sources for lascas are Canada, Brazil, Germany and Madagascar. China, South Africa and Venezuela are other reported producers of quartz lascas. There are two entirely different major uses for quartz crystal. One of these is as a gemstone. The varieties known asrock crystal, amethyst, smoky quartz, rose quartz, and citrine are in demand as low-priced but attractive gemstone or display specimens. For gem applications, the quartz is usually cut and faceted for jewelry, or is carved into various shapes by hand or by laser. Cultured quartz is used in electronic applications, where its special physical properties are valuable. Quartz is one of several minerals which are piezoelectric, meaning that when pressure is applied to quartz, a positive electrical charge is created at one end of the crystal and a negative electrical charge is created at the other. It is also strongly pyroelectric which means that temperature changes can cause the development of positive and negative charges within the crystal. These properties make quartz valuable in electronics applications. While some other minerals may have these properties, quartz is used because it is transparent, tough, and of unvarying chemical composition. Electronics-grade manufactured quartz is used in a large number of circuits for consumer electronics products such as computers, cell phones, televisions, radios, and electronic games, to name just a few. It is also used to make frequency control devices and electronic filters that remove defined electromagnetic frequencies. In industry, quartz is also used in a variety of electronic devices. Quartz is very abundant in the Earth�s crust so there is no danger of running short of easily available raw quartz for cultured quartz production. Even impure quartz can be purified and processed to create cultured quartz crystals. There is no adequate substitute for quartz in electronic applications. The only reason for insufficient quartz supplies would be if demand for cultured quartz outpaces industry�s ability to produce lascas and cultured quartz crystals.